Submitted by Kinslayer on 2019-04-03 02:18. 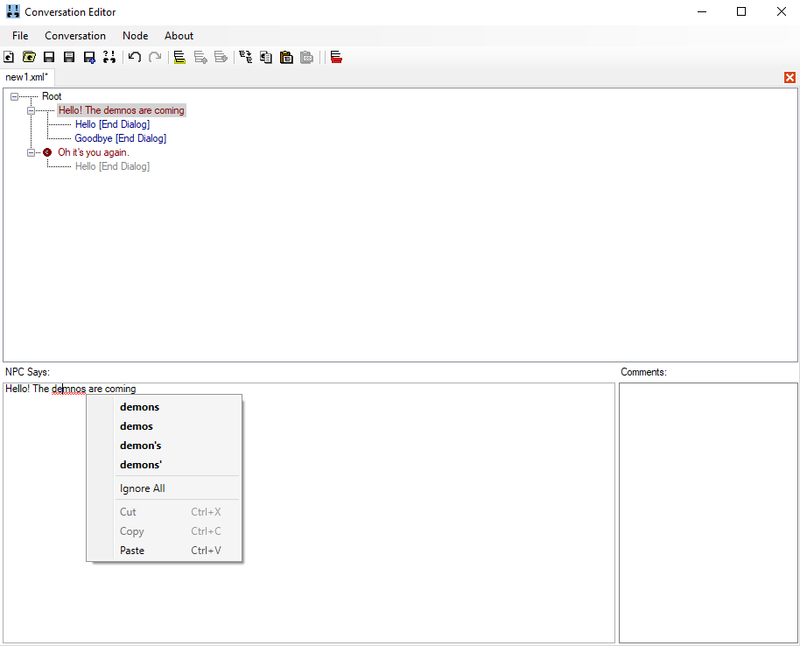 The Flamewind Conversation Editor is a handy tool that allows NWN2 Creators to seperate out the writing of dialog from the overhead that comes with opening the Toolset. This project extends Kethlak's work to make it compatible with NWN1 and NWN:EE. It still works for NWN2 conversations too. Extraction for NWN1/EE currently relies on jakkn's source control tool to obtain dialog files from modules. I plan to provide a smaller standalone tool soon. Every release is the complete package so only download the latest version. Source Code updated with a release. -You can now add tokens and highlights to conversation text. 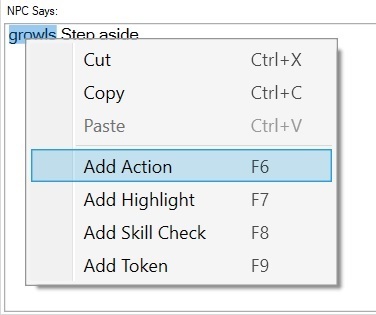 You can add highlights around selected text. You can make custom tokens available in the editor by adding them to the provided Tokens.csv. All these functions have keyboard shortcuts for fast editing, just see the screenshot! And they can undoed/redoed too. 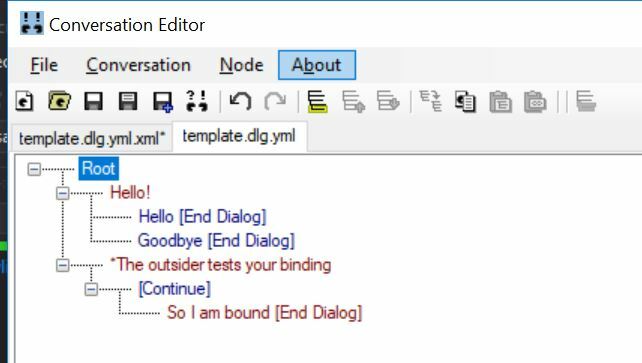 -Fix handles the dialog.tlk references in Bioware module conversations(NWN1). You can edit references but not add new ones. If requested I can add the feature to add new ones. Also if you'd like this feature for NWN2 conversations let me know. -Aurora does not allow creation of child nodes on links, so this is now disabled in the CE. If you experience any issues, or need help setting up, give us a shout in the comments below. This project is the original work of Kethlak, extensions and modifications are done with their permission.